A Victorian cut glass & silver plate claret jug. This claret jug has an elegant shape & a deep cut glass geometric design. 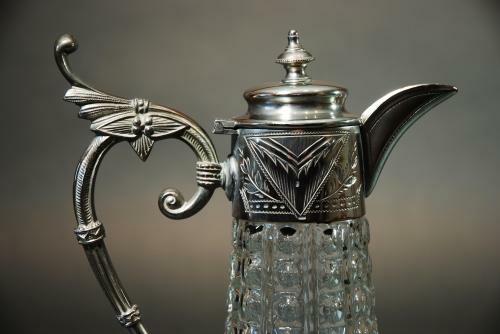 The top & handle are silver plate, it has a hinged lid with an engraved design & a scroll shaped handle.